Industry analyst relations is a core component of all of our PR programs; informing analysts about company milestones, product updates, new market strategies and addressing in-depth inquiries is what we do everyday. Through quarterly andadhoc briefings, lunches and more in-depth inquiries, PenVine ensures clients are top-of-mind with these influencers. The results are features, rankings and mentions in respected reports, analyst notes, and at awards ceremonies, direct product recommendations to decision-makers and participation in annual conferences and analyst events. 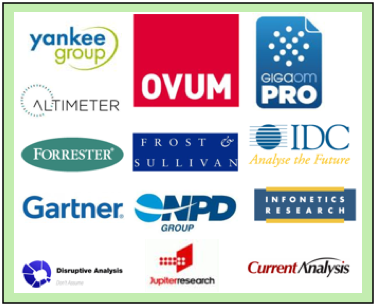 By developing relationships with these key influencers, PenVine helps clients transform neutral experts into evangelists, leveraging analyst thought leadership in white papers, press releases, and securing testimonials, recognition and support.